Brand: Makin's Brand USA MB-38005 Units: 1 set / 4 pcs. 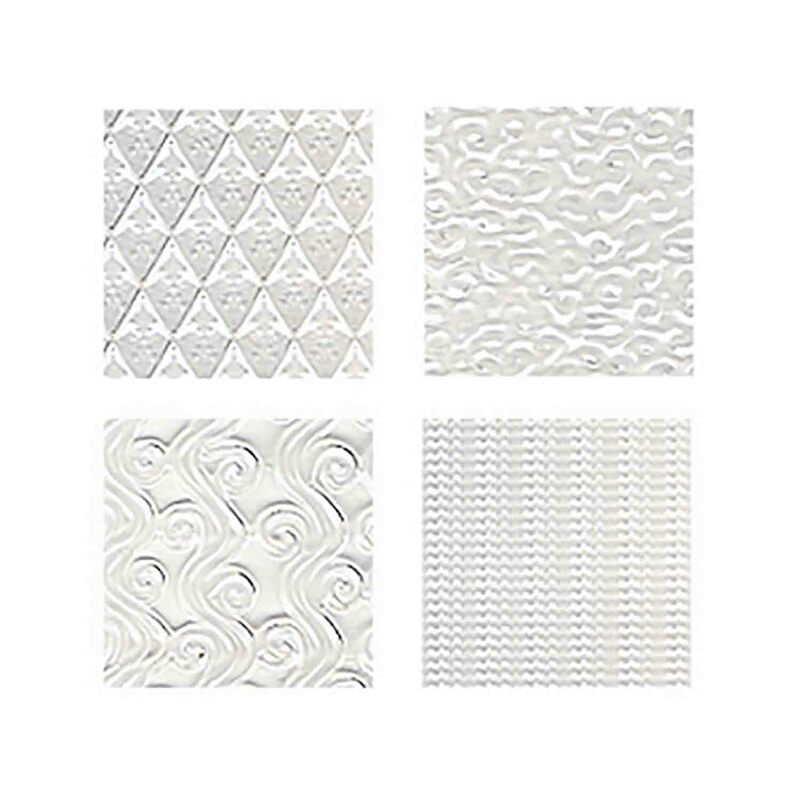 total Dimensions: Each sheet: 4¾" wide x 6¼" long Great for impressing texture on fondant, gumpaste and crusted buttercream. Styles include curly beard, sweater, curly fur and diamond. Great for impressing texture on fondant, gumpaste and crusted buttercream. Styles include curly beard, sweater, curly fur and diamond.